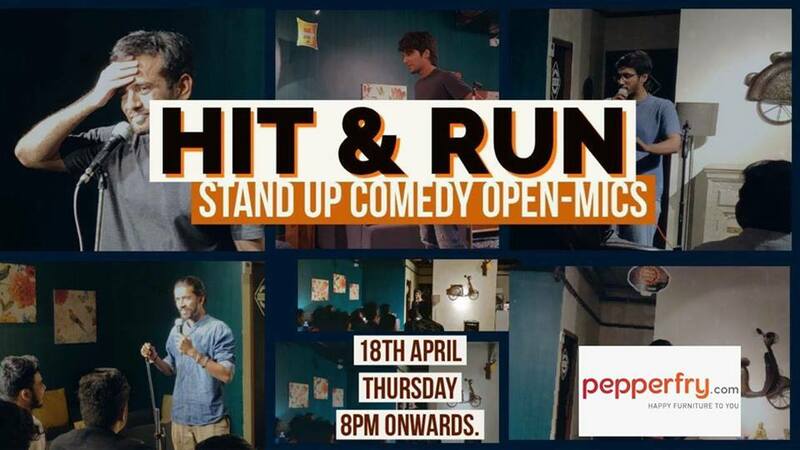 This is the 44th open mic of the hit&run series. This is the longest running venue for standup comedy open mics in Ahmedabad and the best place to be on a Thursday Night. An open mic is a place where semi-pro comics will show their talent to pro audience where some jokes will works beyond your imagination and some jokes won’t. sound simple right? but you’ve to experience what it feels like when you’ll be treated so good that you will doubt your existence.